Being the next big Marvel movie, any information on Age of Ultron is sought after. 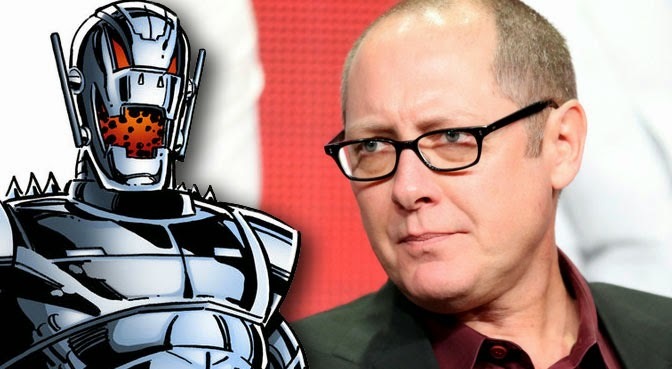 Spader gives us some good insight on Ultron. After Loki, a fan favorite and probably Marvel Studio's best villain to date, was the antagonist of the first Avengers movie, Ultron and, more importantly, James Spader, had big shoes to fill. The release of the trailer showed us the menace of Ultron and the raw power behind Spader's voice. Ultron will be a force to be reckoned with. I'm going to call it right now: Ultron will be the next Bane, and I'll explain what I mean. After The Dark Knight Rises came out in theaters in 2012 (read our Top 5 Favorite Moments from it here), the villain Bane dominated the internet. Everyone was quoting him, mimicking his voice- he became huge. I think Ultron will have the same affect. I think people will be quoting "I have no strings" long after the movie is out and Ultron will be the new Bane of the internet. What do you think? Are you looking forward to Avengers: Age of Ultron? Do you like James Spader's comments? Do you think Ultron will become the new Bane? Leave your thoughts in the comments section below.